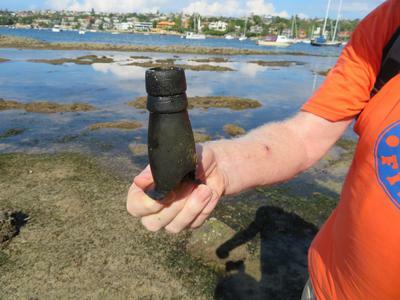 Bottle and Glass Point is less than 45 minutes from downtown Sydney and there its easy parking at Shark's Bay Beach. Although the very name seems to indicate a beachcombers paradise, Bottle and Glass Point was actually named after distinct rock formations. 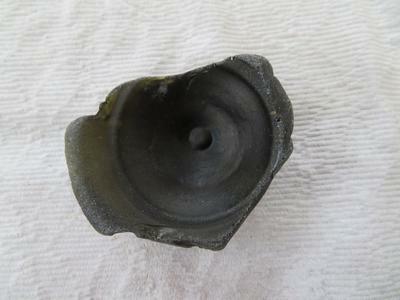 Sadly these were destroyed many years ago by naval vessels using them for target practice. 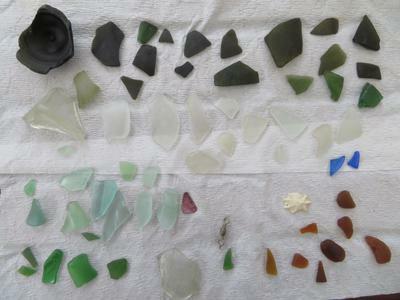 Nevertheless, there is some very good beach glass on this spot. You can park near Shark's Bay and walk along a nice path to the point. You have to scramble a bit to get down to the rock shelf, which is where the glass is. There are numerous pockets in the stone with gravel, shells, and glass. The glass is an odd mix of quite old and very new. 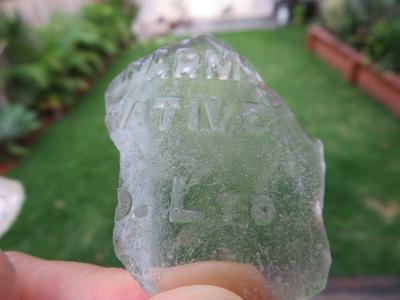 I have included photos of one piece with old writing and a late 19th or late 19th or early 20th century bottle neck. Thelre is a good range of colours and quality with some (not a lot) of "jewel" quality and much more "craft" quality. We focused on the lighter colours as well as very dark greens. We left a lot more than we collected.